Creating an application is no more an easy task. There are a number of factors that you must consider while conceptualizing an application and finally getting it into motion. User Interface, Technology, user profile, and devices are some key considerations that application makers consider before diving into the application development process. Nevertheless, the times are changing and so are the expectations and preferences. This means that you need a process that enables you to keep exploring, learning, and executing constantly. That’s where Exploratory Testing blends in within the Agile environment. If you just begin to understand the benefits of Exploratory Testing, you will realize how business critical it is, especially, in the current scenario of absolute digital chaos. 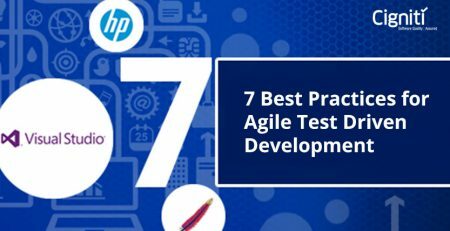 In the practical sense it enables the testing teams to keep up with the agile development process. So, what are the strengths of Exploratory Testing that developers and testers must grab and implement? This testing approach believes in the core strengths and values of the testers, where testing becomes an integral aspect of the overall development process. It prioritizes people and their interaction above processes and tools. It helps to look at testing and development as a process rather than a comprehensive conclusion or completion. Most critically, Exploratory Testing helps testers and developers to respond effectively to changes or crisis situations. These are some immediate benefits of considering Exploratory Testing. What do these translate into in the application development scenario, especially with the current digital uncertainty? According to Jorge Lopez, research VP at Gartner digital transformation is ‘Digital Business Transformation‘. He further states, “We have found that some companies will approach digital business by incrementally improving many new and different functions in a company with no executive or industry focal point to the entire set of investments. The most successful ones will have a top level digital business industry vision, which defines how the enterprise will change how the industry is structured. Consequently, the relevance of exploratory testing pattern in the gamut of Digital Transformation becomes evident. Let’s get to the details! Agile is all about shorter testing and development cycles, frequent testing and continuous integration. How does an exploratory outlook fit in here? 1. Enables you to make changes anytime, all the time. In an agile scenario, it is important to facilitate changes constantly, which further helps to execute an agile project successfully. 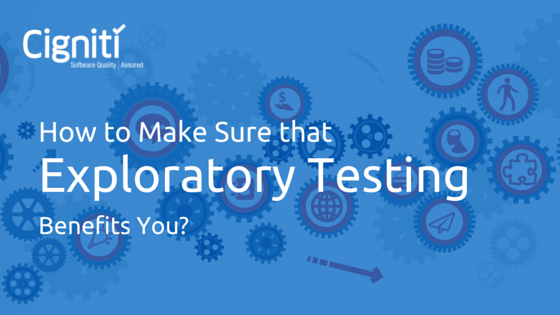 Exploratory Testing blends into the process to make all these objectives achievable. It enables QA professionals to source and provide feedback constantly and further refine the testing process by building a strong approach towards development. This helps development teams to meet the agile timelines and stay confident throughout the software development cycle. Moreover, it becomes easier for testers to look at every aspect of data and accordingly take a decision before providing the feedback and guidance to the application development teams. Being continuous is the key out here – Continuous Development, Continuous Deployment, and Continuous Improvement. The idea of Agile is to make all this possible within the software’s lifecycle. Exploratory Testing with its design and structure enables this with simultaneous learning, test design and test execution. This enables teams to keep testing, sourcing feedback, and implementing the changes on a consistent basis. Agile, as the process defines, focusses on open channels of communication and feedback on a continuous basis. This further gives scope for Exploratory Testing to dwell and sustain in an agile scenario. Due to the overall structure and pattern in which Agile functions, it becomes easier to get feedback and turn it around for effective implementation. In this way, evaluation teams are able to provide real-time updates to their counterparts working in an agile environment, enabling them to keep optimizing the development process. When the focus shifts from mundane repetitive tasks to high-flying testing goals, it helps to look beyond the obvious. Automation can be implemented to get the regular testing task done. However, exploratory approach is needed to ensure that the application works as per the expected business brief. Exploratory Testing helps testers to get more creative and not get loaded with routine testing activities. Findings from exploratory approach can help testing teams to build a strong test management system, which captures learning and expertise of various members in the testing team. This not only helps to keep pace with the software releases, but also helps to ensure quality of the software. Hence, exploratory testing is very much an asset for agile teams. Cigniti has been a trusted testing partner for many organizations in various stages of adopting Agile. We have helped organizations new to Agile build in QA planning, estimation, metrics into their sprints. In case of more mature organizations, we have seamlessly integrated with their sprint teams to improve test coverage, velocity, and quality. Our frameworks for continuous test automation and performance testing have been leveraged by multiple organizations to improve their Quality Assurance and Testing practices. 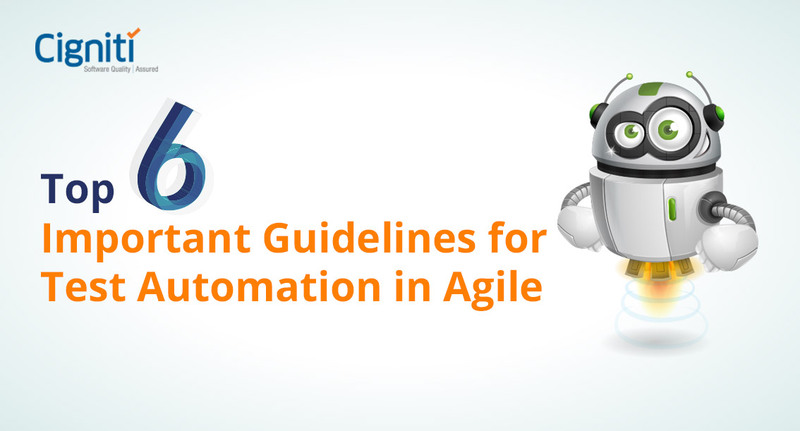 Cigniti has successfully supported variants of Agile, be it Scrum, ATDD, BDD etc. With larger organizations, we have helped scale Agile using frameworks like SAFe, SoS etc. While Agile works best with a collocated model, we have also leveraged our Distributed Agile Testing Framework to support a global delivery model. How to Make Sure that Exploratory Testing Benefits You?